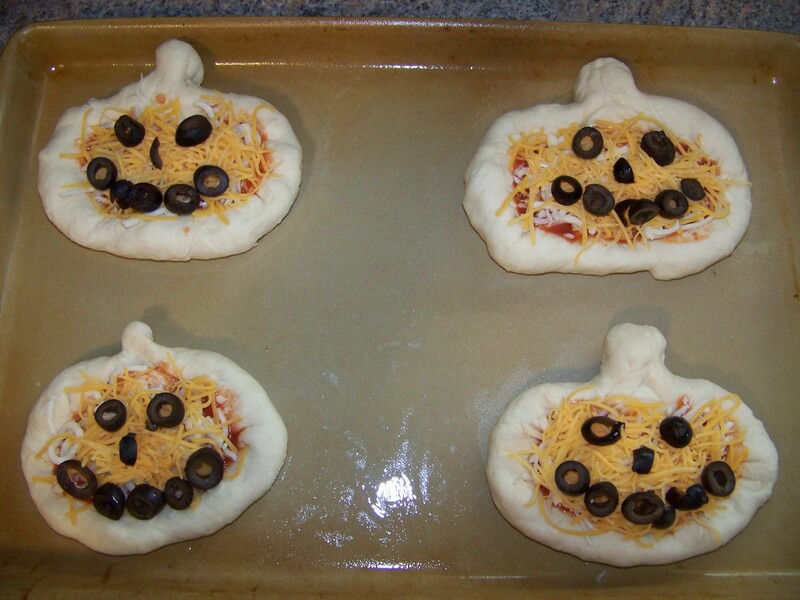 Individual Pumpkin-Shaped Pizzas | My Crazy Blessed Life! I really enjoy making fun meals with my kiddos. We always end up laughing, making memories and a mess! This is something my mom did with me and stuck with me as important bonding time and made me feel important to her. I hope my kids remember it the same someday. 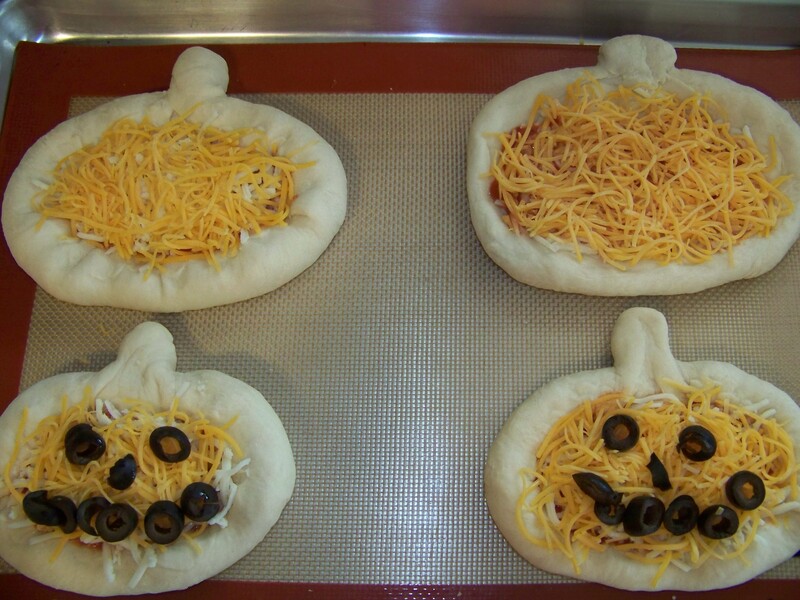 Being October, I usually make all homemade pizzas pumpkin-shaped. 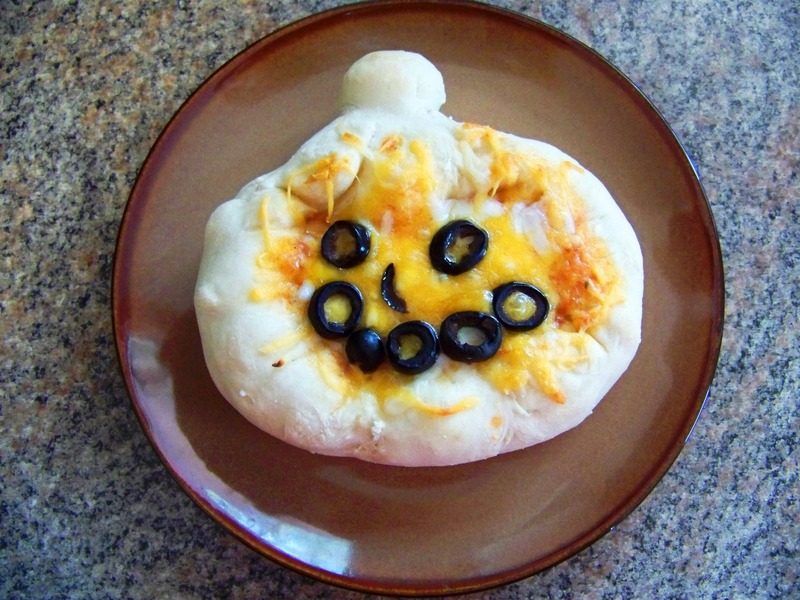 Yesterday for lunch though I decided to make individual deep dish pumpkin-shaped pizzas and it went over so well with my kids I thought I would share. Mix the first four ingredients and let sit for 5 min. then mix the flour in slowly and knead until smooth. Let rise in a warm place until doubled (about 45 min to an hour). After the first rising I shape the individual dough balls (my recipe made 8 mini pizzas) into the pizza shapes and then let the girls spread the sauce on each one with a spoon. Then I let them sprinkle each one with shredded mozzarella first and then shredded cheddar (to look more orange like a pumpkin). Next we arranged the olives like eyes, nose and a mouth. We left 2 with just cheese for my husband who really dislikes the olives. I usually do his pizzas with pepperoni but didn’t have any, I think the new mini pepperoni would be adorable on these pizzas. how adorable! i bookmarked this in my recipe folder, too, so we can try your pizza dough sometime. 🙂 love you jo!